The complete guide to all the Bordeaux appellations making red, white or sweet Bordeaux wine today. Bordeaux wine production is massive in size and scope. In total, Bordeaux has close to 125,000 hectares under vine, making it the largest and most important wine producing region in France. There are currently 7,375 different chateaux in the region. Each estate has an average of 17 hectares of vines. Those 7,375 wineries make more than 10,000 different wines. Each of those vineyards are situated in appellations all over Bordeaux. As of the year, 2015, there are 60 Bordeaux appellations in the region that are recognized by the AOC, the Appellation d’Origine Controlle, giving Bordeaux more appellations than any other wine region in France as well as in all of Europe. The AOC system, was created by the French Government to grant select areas official status for their agricultural products, due to the specific terroir and soil of the area. The French Governmental department controlling the AOC designations is the INAO, Institut National de l’Origine et de la Qualite. The initial creation of the Bordeaux appellation system began taking place in 1936. The purpose of the AOC system, (Appellation d’Origine Controlee) which is used for food and other agricultural products makes very good sense. The purpose behind the AOC system is simple. When a product comes from one specific area, it’s the uniqueness of the place due, to its terroir that gives the wine or other agricultural product its special character, style and identity. The chateau and vineyards must be located inside the geographical boundaries of the appellation. The chateau must agree to follow the specific rules and regulations set forth by the appellation for vineyard practices. This include only planting allowable grapes varieties, minimum and maximum yields, minimal sugar and alcoholic levels, as well as established practices for vinification. These rules and regulations usually insist that the wine must be produced in the appellation and only from grapes planted within the appellation, unless an exception is granted. The wine must also be vinified inside the appellation, unless an exception has been granted. The wines must be bottled by the chateau and are subject to a blind tasting. These are the minimum standards and practices set forth by the AOC. Any serious producer goes well beyond the official rules of the appellation. The Left Bank of Bordeaux is a massive area. The Medoc which is perhaps the most famous Bordeaux appellation starts close to the outskirts of the city of Bordeaux includes 8 appellations in total. The appellations in the Medoc contain all the red Bordeaux, 1855 Classified Growths, (With one exception, Chateau Haut Brion) the estates classed as Cru Bourgeois and numerous other well-known Bordeaux chateaux. And the Medoc, which is its own appellation, and the larger area containing all the Bordeaux appellations listed directly above. The Graves area, for the production of red wine contains the following appellations : Graves and Pessac Leognan. Pessac Leognan is also known for producing the best dry white wine in the entire Bordeaux region. There is no argument that the most important Bordeaux appellation’s in the Right Bank are of course Saint Emilion and Pomerol. Saint Emilion actually consists of two appellations, St. Emilion Grand Cru and St. Emilion. The Grand Cru designation is for terroir deemed by the INAO to be vineyards worthy of that status. All the top producers from Saint Emilion come from vineyards within the St. Emilion Grand Cru appellation. While those are the two best known Bordeaux appellations from the Right Bank, those are not the only appellations in the region. Located next to Pomerol is Lalande de Pomerol. Close to the Bordeaux appellations of Pomerol and Saint Emilion in the Right Bank are the appellations of Fronsac Canon Fronsac. The Bordeaux appellation known around the world for producing some of the best sweet, white wines from any wine region is Sauternes and Barsac. 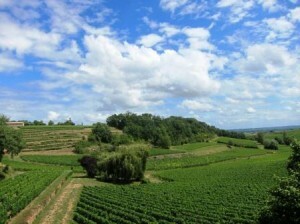 However, other Bordeaux appellations also produce sweet wine. While the Sauternes appellation is the dominant producer of sweet wines in Bordeaux, due to its extreme high quality, the appellation produces close to 50% of all the sweet wine made in Bordeaux. In total, 13 additional appellations also allow the production of sweet Bordeaux wine. The other regions do not make wine at the level of Sauternes, but they are considerably much less money in most cases. The wines are delicious young and offer great value for savvy shoppers. Bordeaux, Bordeaux Superieur, Cadillac, Cerons, Cotes de Bergerac, Graves Superieurs, Haut-Benauge, Loupiac, Monbazillac, Premieres Cotes de Bordeaux, Sainte Croix du Mont, Sainte Foy and Saint Macaire are all appellations that allow for the production of sweet Bordeaux wine. Many of those wines are sold to French consumers as they are not often exported. There are Bordeaux appellations recognized for the production of dry white Bordeaux wine. For dry white Bordeaux, the most important region is Pessac Leognan. However, much more white Bordeaux is produced in Entre Deux Mers.